DAVID V. | Founder | David founded Rumbo Explora in 2010 to fulfill a personal dream, providing luxury and authentic tours inspired by living traditions. He is graduated from Universidad Nacional del Altiplano and Instituto Superior Tegnológico JAE-Puno. 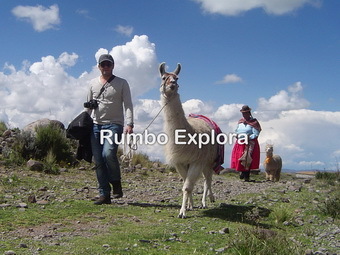 David is focused on creating the most authentic hand-crafted travel itineraries in Perú. 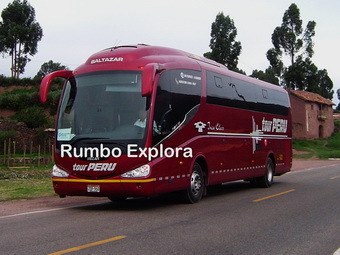 He is the driving force behind Rumbo´s Explora, and boasts ample experience working in the past since 2002 for local Tour Operators, as Tour Leader for DMC travel companies as RECEPTOUR S.A (2005 – 2007), LIMA TOURS S.A (2009), SOLMARTOUR S.A (2010) and METROPOLITAN TOURING (2007 – 2014), also as Operations Manager, travelling around all Peru, Bolivia and Chile. He likes to take pictures. MARIA J. | Manager – Puno Office | Maria is the first Rumbo Explora member. As a local woman she knows the culture, archaeology, traditions and Peruvian cousine. She has had the opportunity to visit destinations highlights of Perú and decided to apply her skills in the field of tourism. She likes sharing and learning with the local communities creating a real travel experience and then to put it into practice. DELIA SULLA | Manager – Cusco Office | She graduated from the Universidad Nacional de San Agustin with degree in Tourism and Hospitality. Her job is to make our clients feel welcome, safe, well-advised from the moment they get to Cusco and make sure that everything is on time and well organized. Delia has been working for the past 9 years, at the beginning as Tour Guide and later as Operations Manager, she likes traveling about her country, gastronomy and Peruvian culture. REYNALDO R. | Client Relations – Cusco Office | Reynaldo has a vast experience in the industry of tourism from 1985, with degree in Tourism Administration from Cenfotur. Learning and sharing his knowledge, he at Rumbo Explora enjoy being part of a nice and highly trained profesional team. Reynaldo obtained important success working as a Regional Manager for a DMC Travel Company in Cusco-Machupicchu. He knows very well Cusco área, thus he is commited how to handling every challenge that comes his way. LENY CARY | Manager – Arequipa Office | She graduated from the Universidad Nacional de San Agustin with degree in Tourism and Hospitality. Her job is to check land transportation, tours guides, hotels in Arequipa and make sure that everything is on time and well organized. Lenny has been working for the past 25 years, at the beginning as Travel Consultant and later as Office Manager, she likes traveling about her country, gastronomy and Peruvian culture. WILLIAM ALCALDE| Representative – Lima Office | William started to work in the industry of tourism from 2004. He studied English, as Rumbo Explora representative his job is to make our clients feel welcome, safe, well-advised since he greets our visitors upon arrival at Lima airport, and make sure that everything is on time and well organized. William know most of the Peruvian destinations as Machupicchu, Lake Titicaca, Colca canyon and Nazca & Paracas area. LEO REYES | Representative – Paracas & Nazca Office | Leo started to work in tourism for over 30 years, became one of the pioneers in Nazca and Paracas area. He knows very well the Nazca & Palpa Lines. Leo manages all our tours and excursion to Nazca & Palpa Lines and Ballestas Islands, he is committed how to handling every challenge that comes his way. Today Leo as professional and experienced entrepreneur is teacher for most of tour guides. We take pride in looking after our team and pay our staff such as guides, drivers and boat drivers well above average wages. This allows us to attract some of the best guides, drivers with a long experience, and keeps them working all year around. 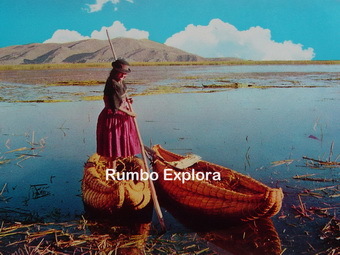 In Puno & Lake Titicaca we have 05 professional tour guides, in Cusco & Machupicchu 07 guides, and in Arequipa & Colca canyon 03 guides, experts and knowledgeable in their fields, and a qualified team working for us with more than 30 years of experience. The tour guide is generally the first member of our company that greets visitors upon arrival into Perú. His job is to make our clients feel welcome, safe and well-advised, helping to solve issues on the ground from the moment they set foot in our country. He likes to share his love for Peru with travelers from around the world. Our staff of tour guides are some of the best paid, which allows us to guarantee excellence in our services. We have guides fluent in English, French, Italian and German. At Rumbo Explora an excellent guide is key to making your trip a memorable experience that is why we select guides, with experience earned by many years of work. Our guides are highly trained, offering with high quality standards, making the difference with other ones, because they are the best in their fields, experts ambassadors, guaranteeing excellence in our services. Our team is also composed of specialized guides: bird watching, esoteric tours, flora & fauna, history, archaeology, anthropology, who have also been trained available for specialized trips and traditional programs, adding a wonderful value to their explanations. Finally, some of our guides had to travel to Lima – Peru to improve their English. Most of our tour guides in Perú have been trained in advanced first aid & rescue. Our team is regularly updated through seminars and courses in their respective fields like, Puno, Lake Titicaca, Cusco, Machupicchu, Arequipa and Colca Canyon. Share the post "Our Team & Expert Guides"